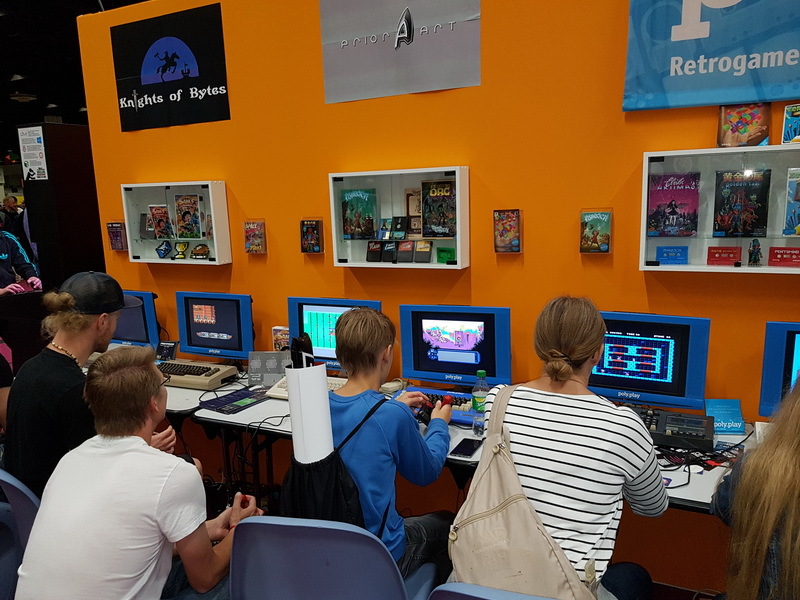 PriorArt was showing up at the Gamescom retro area. We had the opportunity to present SAFTS and Caren at the poly.play booth. 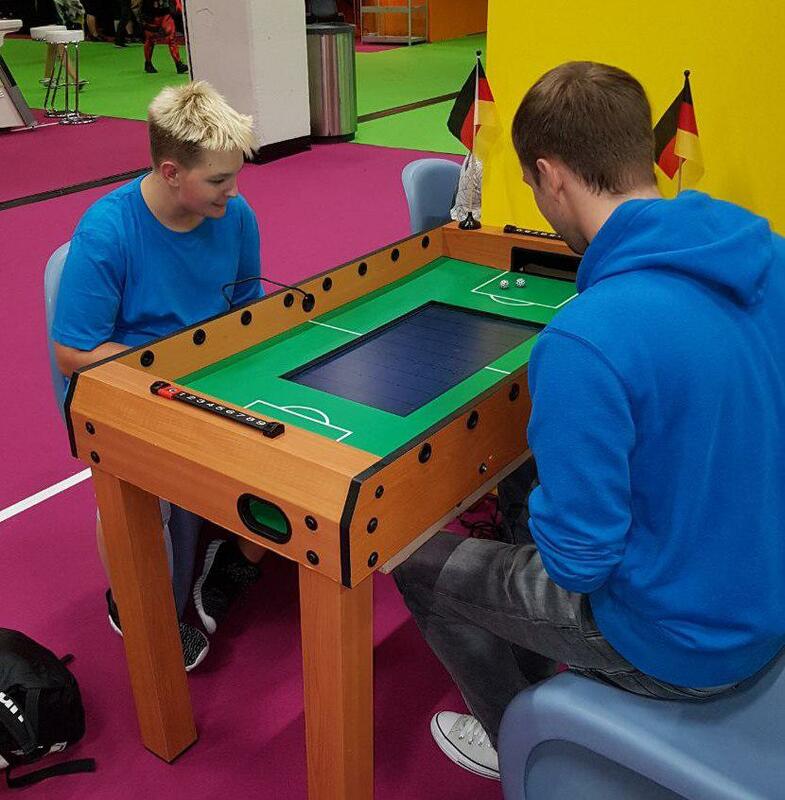 As special surprise the RETURN magazine came up with a SAFTS tabletop setup, which was quite popular among visitors. It is one of the worlds biggest fairs for video games with about 370000 visitors this year. Next to new blockbuster games there is also the indie game arena, cosplay village, a merchandise hall, areas for business and education – and as mentioned a huge retro gaming exhibition on a 1600 sq.m. As you can imagine it was stressful but same time rewarding and so much fun. Caren and the Tangled Tentacles – Thank You Edition (C64) will be released Q3/2018 as free download. This game is an enhanced version of the free release. It is not Caren v1.3 which was an addition to the Kickstarter campain of the book “C64 a Visual Commpendium v2”. Caren TYE has a similar scope, but without extras created for backers. It also includes updated controls of the upcoming Caren 2 game. SAFTS – Spin All Four Table Soccer final version (C64) is currently under development. Planned features are a tournament mode and support for up to 4 players (as far as it is given by technology). The game will be published by Protovision. Next PostNext Assembloids 2600 binaries for free!